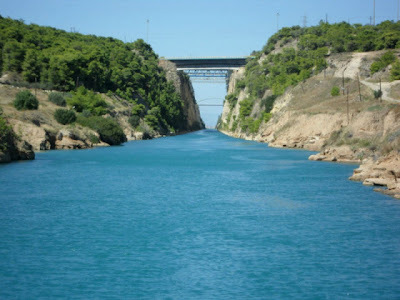 The Corinth Canal is a canal that connects the Gulf of Corinth with the Saronic Gulf in the Aegean Sea. It cuts through the narrow Isthmus of Corinth and separates the Peloponnesian peninsula from the Greek mainland, thus effectively making the former an island. The idea to build a channel existed since the ancient times. 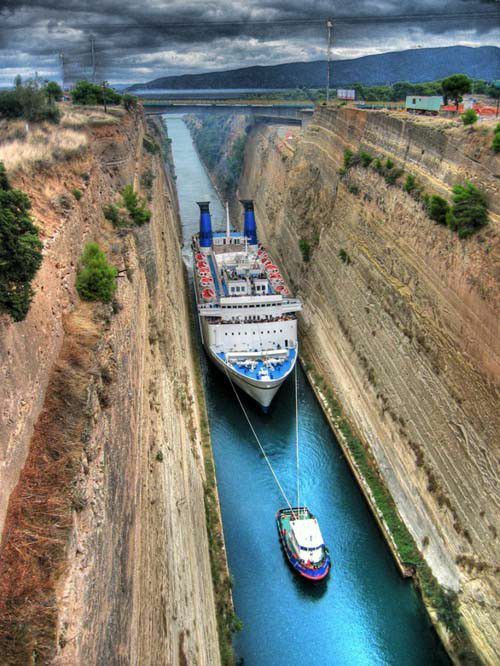 Alexander the Great, Julius Caesar and Caligula all had plans to dig the channel and Nero even started the construction works in 67 A.C. but they interrupted by the emperor’s death in 69 A.C. 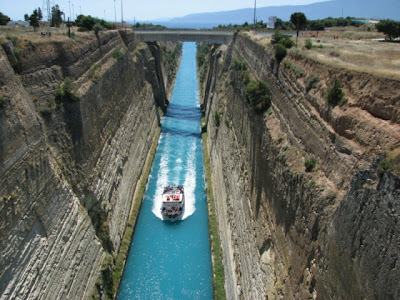 So the channel was constructed only in the late XIX century by French engineers when the government of Greece commissioned the works. 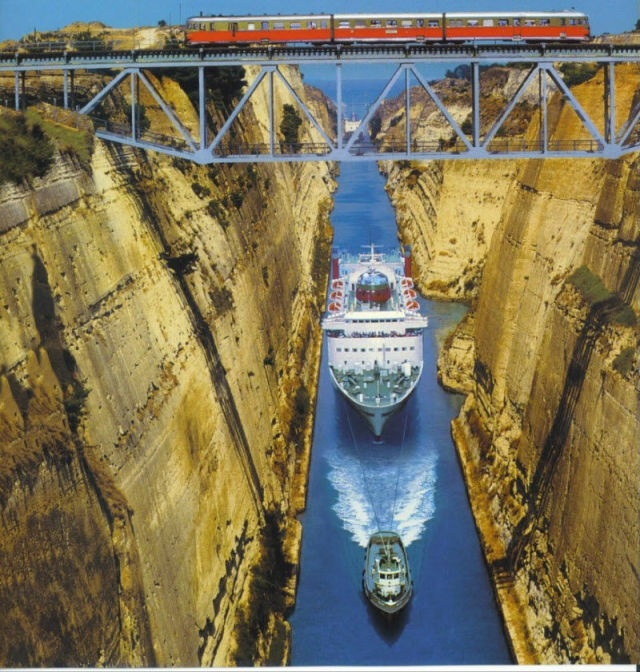 Apart from creating a transport shortcut, the Corinth Channel also became a local landmark attracting tourists from all over the world. 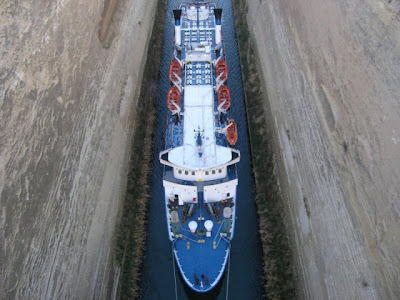 The channel is 6343 m (20,810 ft.) long, its width ranges from 25 to 21 m (82 to 69 ft.) and the height from its topmost points to the surface of the water is 90 m (295 ft.). 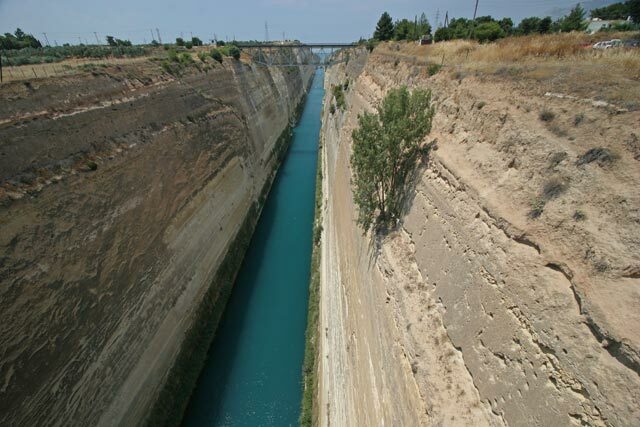 The water in the channel is 8 m (26 ft.) deep. 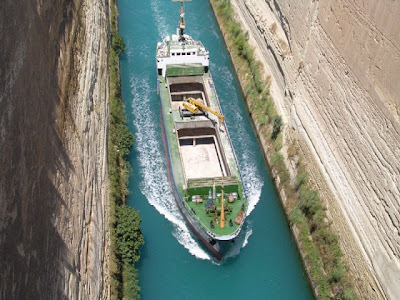 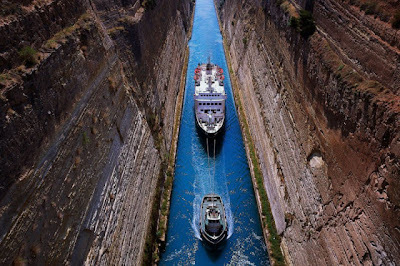 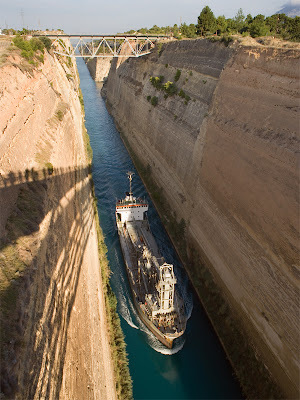 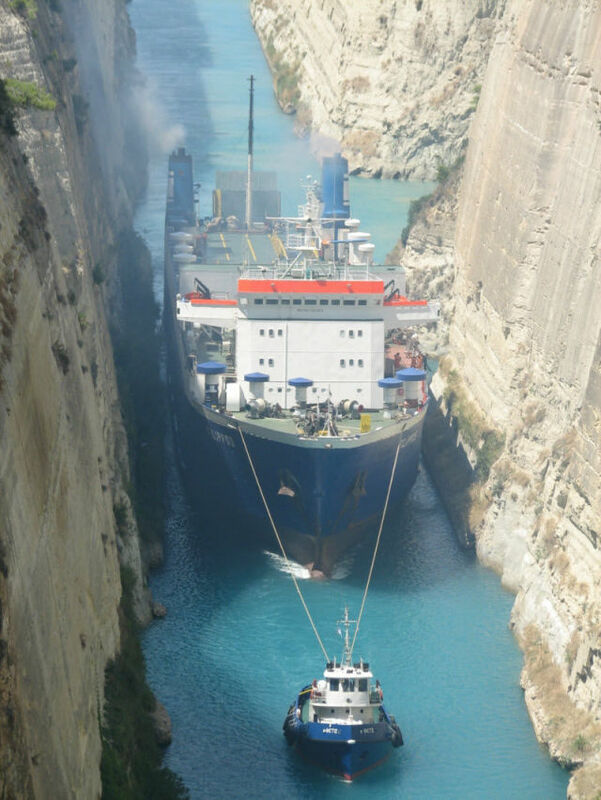 Although the canal saves the 700-kilometre journey around the Peloponnese, it is too narrow for modern ocean freighters as it can only accommodate ships of a width of up to 16.5 meters (54 ft) and a depth of 7.3 meters (24 ft). Ships can only pass through the canal one at a time on a one-way system. Larger ships have to be towed by tugs.The canal is nowadays mostly used by tourist ships. About 11,000 ships per year travel through this unique waterway.